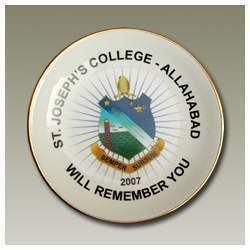 Manufacturer & Exporter of Corporate Plates & St Joseph's School Plate. Our product range also comprises of Promotional Mug, Ceramic Promotional Mugs and Ceramic Promotional Designer Mugs. Our customers can avail St Joseph's School Plate from us. The offered range of school plates is made utilizing highly modern machines and sophisticated techniques in complete tandem with the industry laid norms. Along with this, the offered range of school plates is available in different customized specifications and forms to comprehend and meet the diverse requirements of esteemed customers.